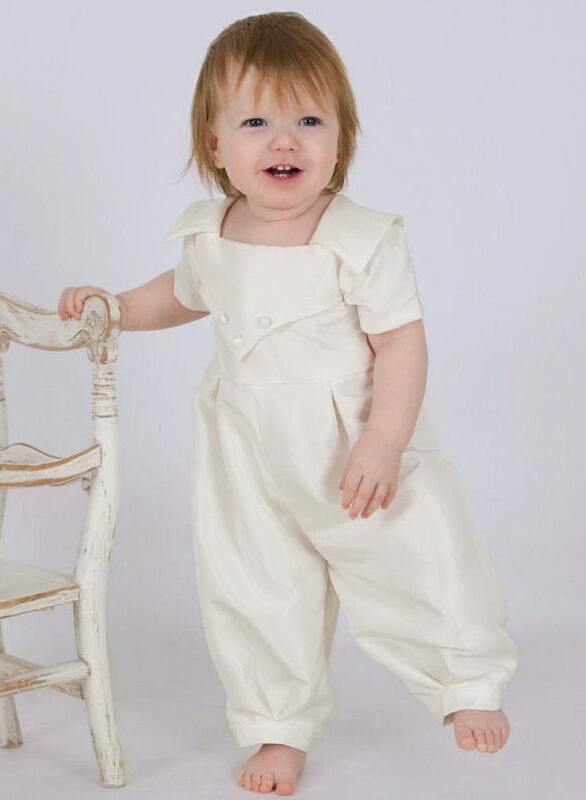 The simplest of our boys rompers. 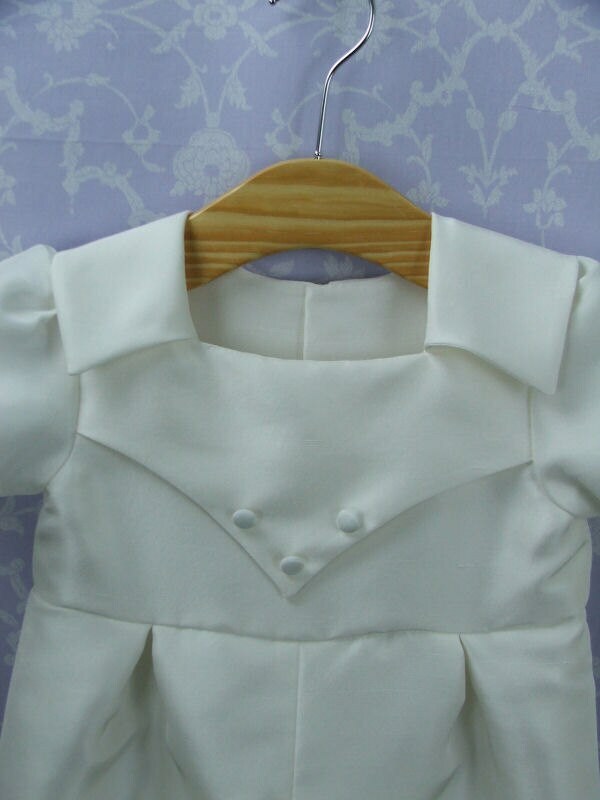 Square neckline detailed with a simple collar and pointed front panel. Covered buttons add a flourish of detail. 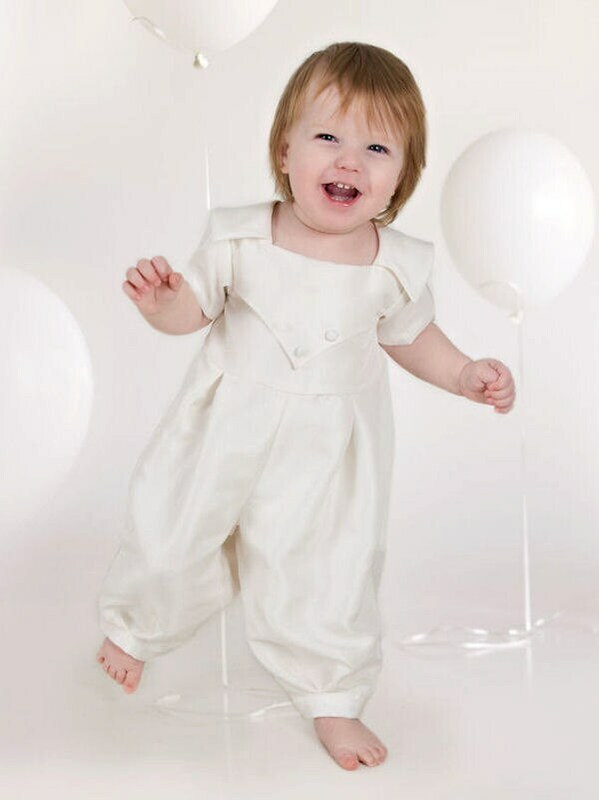 Simple, young and boyish enough to please any parent wanting a special outfit for a special day. Capped sleeves and cuffs on the romper legs. 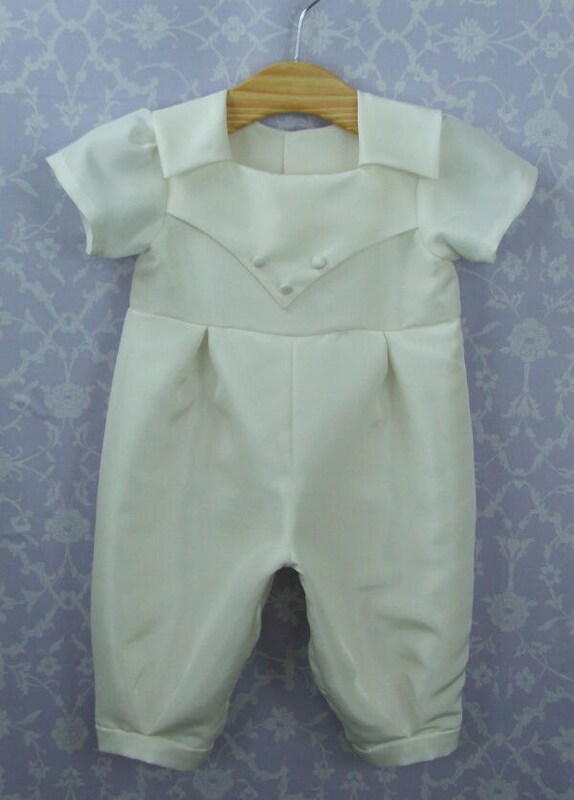 The back of the romper features covered buttons and rouleau loop fastenings.